Windows 10 vs Windows 10 Pro – Which is Better for Your Computer? You’re looking to purchase a new Windows 10 laptop, but you haven’t reached a decision about which software version is best for you. Or maybe, you’re considering upgrading your laptop’s OS from the standard Windows 10 Home to Windows 10 Pro but aren’t sure if that is the right move. Don’t fret – this is a dilemma that many people face when they want to buy a Windows 10 laptop or upgrade from Home to Pro. In order to make a well-informed choice, it is important to learn about the pros and cons of each of the two Windows 10 versions. But first things first, you should learn the similarities and differences between the two software versions from Microsoft. If you’re a fan of the classic Windows OS Start Menu, which didn’t feature in the Windows 8 edition, you’ll probably be happy to learn that it has made a return on both the Home and Pro versions of Windows 10. But that’s not all – there’s something extra for you! The new Start Menu also includes a tiled screen part called Live Tiles to display information about things that matter to you. As you can view the information at a glance, you don’t have to open an app. The Start Menu comes paired with a default set of live tiles. You can rearrange and resize the tiles any way you like, but also add almost any app to the tiled screen. It goes without saying that Microsoft got inspiration from Windows 8’s Live Tiles when coming up with this revamped Start Menu. Continuum is an application software designed to help the Windows 10 operating system configure itself based on how people use their devices. It is integral for laptop users whose devices also double as tablets. For example, Continuum will automatically know your device is on laptop mode when you’re using the keyboard and mouse combo to navigate your Windows 10. Likewise. It will know your device is in tab mode when you switch to touchpad operation. This feature enables you to switch between different work modes without experiencing significant lag time. Unlike preceding editions of Windows OS, Windows 10 comes with a new browser called Microsoft Edge. This web browser delivers a faster and safer way to surf the web and is a welcome replacement of Internet Explorer. Enjoy enhanced performance, extended battery hours, and improved security as you go about work while web browsing. What’s more, Microsoft Edge offers you tools to make lighter work of everyday tasks. For instance, you can quickly find and open the tabs you previously saved without exiting the page you’re currently on. This way, you can stay organized as you explore the web browsing world. How does having a digital voice assistant on stand-by sound to you? Sounds like a dream, right? Well, Microsoft is making that dream come true by adding Cortana to your Windows 10 laptop. Cortana is a personal digital assistant helps you stay organized and achieve more on your Windows 10 device with less hassle. From setting your reminders, to creating your music playlist, to getting directions for your travel, Cortana is the helping hand you need to get things done with less effort. You can even use Cortana to automate your home, from dictating how the AC works to when the lights go on and off. Thanks to this new feature, you can log into your Windows 10 device without entering a password. In fact, it works three times faster compared to a password. So, how does Windows Hello work anyway? It allows you to log in to your Windows 10 device in two password-free ways – that is, using your face or fingerprint. To log in using your face, you’ll simply need to face your laptop’s webcam and Window Hello will face recognition technology to sign you in. To sign in to your device with your fingerprint, just place the right finger on the fingerprint scanner/reader. Microsoft must have had in mind that most people use their laptops for both work and play when they made Windows 10 Xbox-compatible. Yes, you can stream your favorite Xbox content on your Windows 10 laptop, be it Home or Pro. This feature makes Windows 10 laptops a great option for those looking for well-rounded performance. Perhaps the most obvious difference between the two versions of Windows 10 OS is that each is tailored to meet the needs of different Windows 10 device users. Home is meant for home users, while Pro is meant for various professionals and businesses. It is also worth noting that Home is ideal for general-purpose use whereas Pro is designed to match the special needs of businesses. Hence, the Home variant appeals to most of the average users. Another notable difference between the two versions is that Windows 10 Pro packs more features than Home. The extras found in Windows 10 Pro are all meant to meet the needs of discerning business users and may not be of as much importance to regular home users. So, what exactly are those extras? This security tool lets you encrypt your drives so that potential hackers don’t gain easy access to your computer system. It requires a Trusted Platform Module (TPM) version 1.2 or greater to provide maximum protection. While this security feature isn’t a 100 percent fool-proof, it goes a long way when it comes to keeping your data secure. This feature is vital to securing important data in offices or workplaces where multiple PCs are connected to the same domain. System administrators can centrally set different rules and privileges for each Windows 10 user on the domain. This feature really comes in handy if you’re running an office network. As the Pro variant of Windows 10 supports joining a domain, it’s possible to add PCs to a large network. With Domain Join, you can log into the network remotely. This means the laptop you intend to use at the office needs to be powered by Windows 10 Pro. This feature is designed to help Windows 10 Pro control app access by different device users. If you configure assigned access on an account, the selected Windows app will run above the lock screen for that specific user account. This will prevent users of that account from performing any unauthorized functions on the device. You can also configure welcome screen elements, power button availability and other optional features so as get a more personalized assigned access experience. If you want to log into your laptop or PC from a remote location on the web, Windows 10 Pro has you covered with its built-in Remote Desktop tool. Do you require virtualization? With Microsoft’s Hyper-V, you can easily manage advanced workloads by simply running virtual computers on top of your Windows laptop or PC. This feature offers you a flexible and convenient way to search, find, download, and manage both free and paid apps for your Windows 10 Pro devices. Keep in mind that it is available in certain markets, and apps and functionality may vary from market to market and device to device. Windows 10 Home is designed with the needs of basic users in mind, so operating a computer device that runs this standard Windows 10 OS version should be a cinch for anyone who has operated a comparable Windows device before. 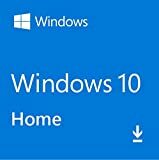 Home comes with all of the features found in previous editions and versions of Windows OSes, but also includes some of Microsoft’s flagship features, including Cortana, Windows Hello, Microsoft Edge, Continuum, Action Center, and more. This adds more functionality to the current version of the standard Windows OS. Windows 10 Home takes the frustration out of browsing the web by replacing Internet Explorer with Microsoft Edge – a much faster web browser. So, you should brace up for less lagging as you explore the internet. With the Windows Hello feature, you can now log in to your Windows 10 Home laptop faster without compromising the security of your device. You have the option to log in with your face or fingerprint, so there’s no need for you to constantly worry about someone getting wind of your password. Microsoft knows that many laptop users value their entertainment. That’s why they ensured that Home supports Xbox content. You can play your favorite Xbox games right from your Windows 10 Home laptop. Users of Windows 10 Home laptops and other computer devices can also watch a raft of amazing Xbox movies and series right from the screen of their devices. Hence, laptop users no longer have to buy extra hardware to watch their favorite Xbox media. If you’re buying a new Windows 10 Home laptop, it will come with the software pre-installed, so you won’t have to spend a dime. If you’re upgrading from previous editions and versions of Windows, you’ll get a free upgrade to Windows 10 Home, as long as the Windows version you’re currently using is legit. But if you’re buying the software without a computer, you’ll need to part with $, which is less expensive than the $ price tag of the Pro version. Compared to Pro, Home comes packed with fewer features. If you intend to use your Windows 10 laptop for business purposes, you’ll miss out on core features like Bitlocker, Remote Desktop, Domain Join, Assigned Access and more. This disadvantage confirms the phrase “you get what you pay for” as true. The maximum supported RAM of devices that run Windows 10 Home is 128GB, whereas that for devices running the Pro version is 2TB. While the memory needs of business and other organizations are generally greater than that of home users, the difference in total memory between the Home and Pro variants is quite significant. Windows 10 Home can initiate Remote Desktop Connection, but it can’t be configured to accept an inbound terminal request from a remote server session. The downside of this is that home machines that double as work machines can be controlled only from the secure workplace. Signing into your laptop will not be secure if you want to work from home. System and software updates on Windows 10 Home occur automatically. Once the updates start getting installed, you can only stop them for a few hours, but no longer than that. Plus, there’s always the risk of running into some wonky updates that may cause lag time at the most crucial times. 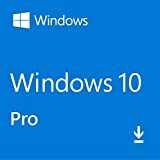 One of the most notable advantages of Windows 10 Pro was designed with the needs of businesses and other organizations in mind. It comes packed with special features that are intended to make user experience delightful for businesses.Windows 10 Pro over Home is that it offers all the features of Home and more. Some of the extra features that it provides users include Bitlocker, Domain Join, Assigned Access, Hyper-V, and Trusted Boot just to mention a few. Most of the extras that the Pro version of Windows 10 OS offers are meant to improve security. Trusted Boot, for instance, inspects every aspect of the booting process before allowing your computer to load. With BitLocker encryption software, you can fully secure your vital information stored in drives from would-be hackers. Unlike with Windows 10 Home, the Pro variant can be configured to accept an inbound terminal request from a remote server session. This means that Remote Desktop connections can be initiated and remotely controlled. In today’s increasingly challenging workplace, professionals are increasingly looking for computing capabilities that can deliver high performance, even in difficult situations. Windows 10 Pro is designed to help users manage advanced workloads quickly and efficiently without compromising data protection and performance. A feature like Hyper-V, for example, allows Pro OS users to employ virtualization to manage advanced workloads by making traditional computing more scalable. The maximum total memory that Windows 10 Pro can support is 2TB. This is more than 15 times greater than Home’s maximum RAM capacity of 128GB. The greater memory size of Windows 10 Pro devices makes them generally more powerful than devices that run the Home variant. This makes the Pro version ideal for heavy users. Windows 10 Pro comes with a special feature called Windows Update for Business, which allows you to update your laptop or computer device when you want. As a matter of fact, you’re allowed to delay updates for up to many months. This option helps prevent buggy updates from interfering with the performance of business computers. Windows 10 Pro was designed with the needs of businesses and other organizations in mind. It comes packed with special features that are intended to make user experience delightful for businesses. If you’re buying a new laptop that’s powered by the Pro version of Windows 10, you’ll probably like the fact that your machine will come bundled with the OS at no extra cost. But if you’re buying the software separately, you’ll have to spend at least $, which is about $ more costly than the Home version. While Windows 10 Home can work well for businesses with small, basic computing needs, the Pro version tends to favor businesses and organizations that need added security and performance. Therefore, not every business may find value in paying more for the OS. Both the Windows 10 Home and Pro versions are great OSes, as long as they are used for the purpose for which they were intended. As a consumer, it’s important that you first assess your particular situation and needs before making a choice. If you run a business with an active office network, and you need additional security and performance features, it would be best to go for the Pro variant. But if you are a basic or regular laptop user, like most people out there, you’re not really going to need these extras. So, you may be better off choosing the Home version instead.